The National Hot Rod Association has made its way to Thunder Valley this weekend for the NHRA Thunder Valley Nationals from Bristol, Tenn. After the first day of qualifying, Tony Schumacher leads the Top Fuel category. Tim Wilkerson is the provisional No. 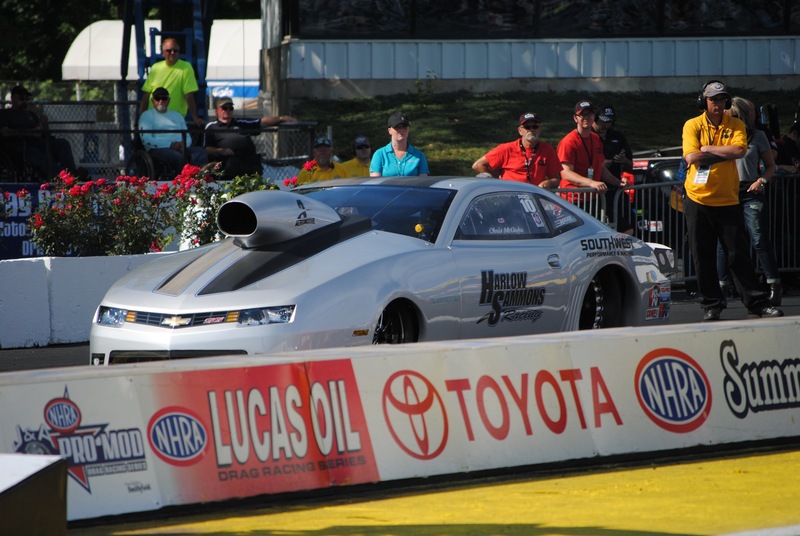 1 qualifier in Funny Car, while Chris McGaha has that for the Pro Stock class. “The Sarge” ran a track record 3.768 at 322.58 mph pass in his U.S. Army dragster. If it holds up tomorrow, it would be his fourth No. 1 qualifier at this track and third of the season. Wilk, as he’s known, had a nice 4.027 run at 318.32 mph in his Levi, Ray, & Shoup Ford Mustang. The NHRA Southern Nationals winner could get his first No. 1 qualifier since the Fall Charlotte face in 2012. In addition, he hasn’t had the No. 1 qualifier at the track since 2007. McGaha went 6.647 at 206.67 in his Harlow Sammons Chevy Camaro for the provisional spot. He’ll have to see what the other Pro Stock drivers have in their two runs tomorrow. If it holds, it would be his sixth career No. 1 qualifier. It would also be his fourth this season. However, when he’s qualified as the No. 1 driver, like he did last weekend at the NHRA New England Nationals, things haven’t went his way on Sunday.